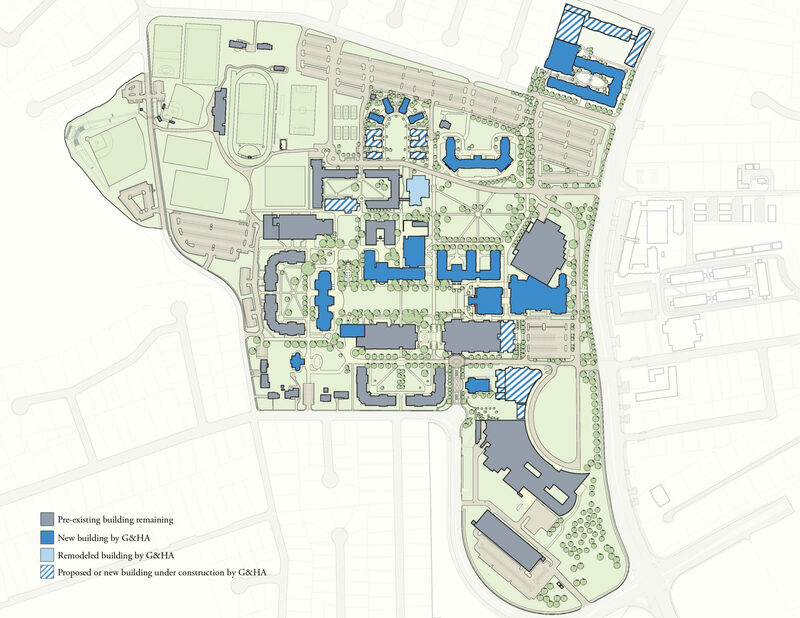 GLAVÉ & HOLMES ARCHITECTURE (G&HA) provided a master site plan for the heart Christopher Newport University’s 260-acre campus. 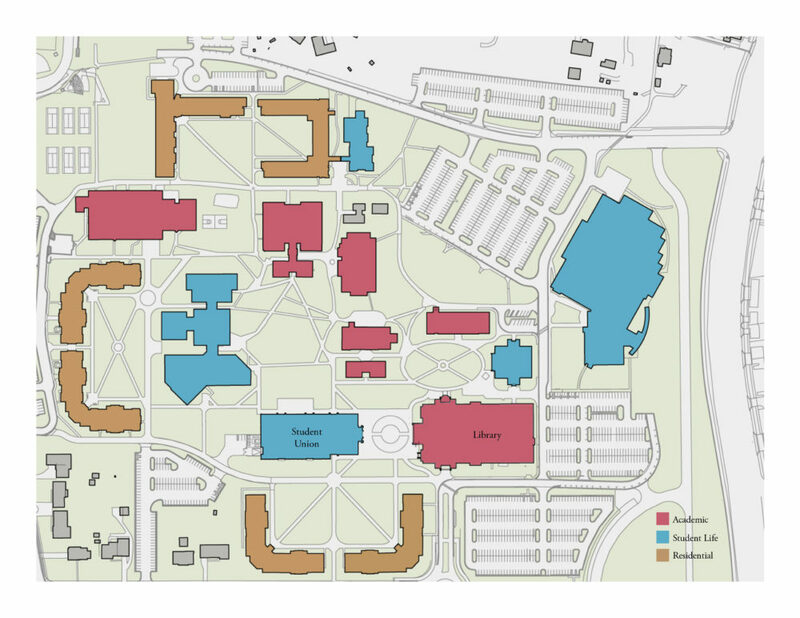 Components of the master plan included a Great Lawn, several new academic buildings, various types of new student housing, a university chapel and campanile, expansion of existing buildings, and both structured and surface parking. 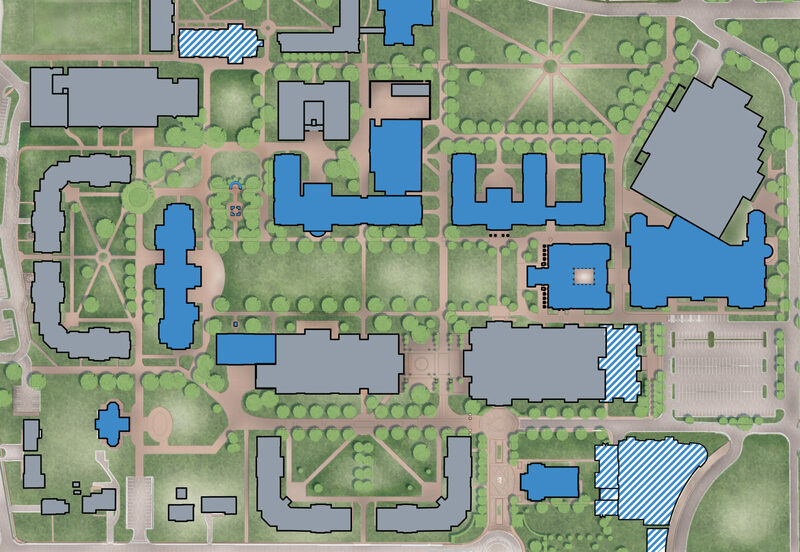 The new campus master plan was developed around a unifying Great Lawn, a common and central campus green space that was built on the site of two existing buildings (the former library and student union). The Great Lawn became the essential core concept for four new buildings to be designed by G&HA. 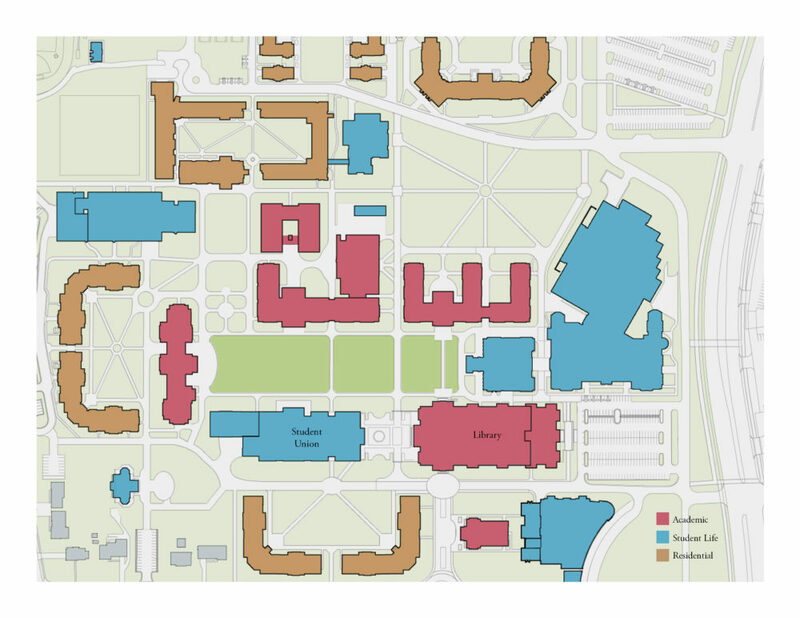 Since conceiving the Great Lawn approach, G&HA has developed the 2015 and 2030 campus wide master plans and numerous other transformational projects for the University. Each of the designs endeavors to elevate the campus character, aesthetic, and quality of the facilities to new levels. G&HA has also completed a number of projects under a Term Contract, including the University Gate, the Bell Tower, and several important pedestrian plazas.